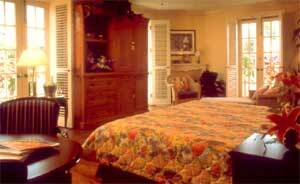 The Pier House Resort & Caribbean Spa is Key West's Premier Resort. Just steps away from the hustle and bustle of Duval Street, you are invited to experience the free-spirited atmosphere of this secluded paradise. The Pier House is truly a hidden treasure where you can relax your attitude and sink into the lap of luxury. We offer nightly live entertainment and exquisite cuisine. Because we believe that a little indulgence is good for the soul, we've provided the ultimate pampering experience. We take pride in our casual, unpretentious atmosphere, the same ambiance that has made Key West a favorite refuge for preachers and poets, pirates and presidents alike. The Pier House will charm you with its sumptuous sensual pleasures. Restaurant: Elegantly prepared American-Caribbean specialties at the four diamond Pier House Restaurant or enjoy a visit to one of our other unique bars and award winning restaurants. Recreation: When you're ready for a little fun, wander outside to the Beach Club Bar and enjoy live musicians. Join the sunset celebration ritual at Havana Docks, with the sounds of calypso gently reminding you that you're in paradise. Then join friends and sing along with favorite local entertainers over after-dinner cocktails at the Wine Galley & Piano Bar. And don't miss our offbeat local watering hole, the Chart Room Bar.